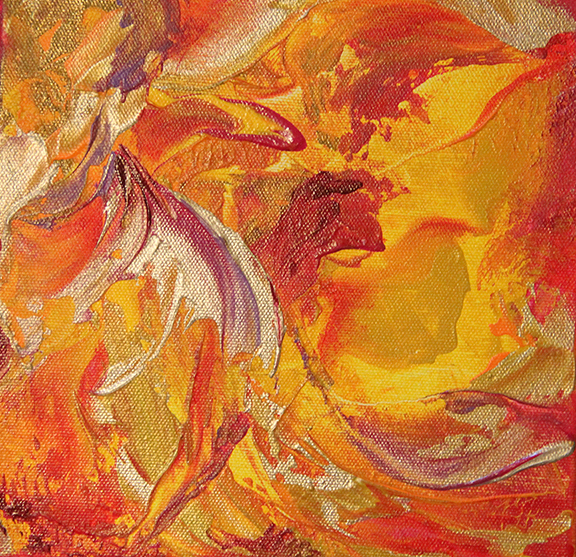 "ART is the heart beat of a Soul." 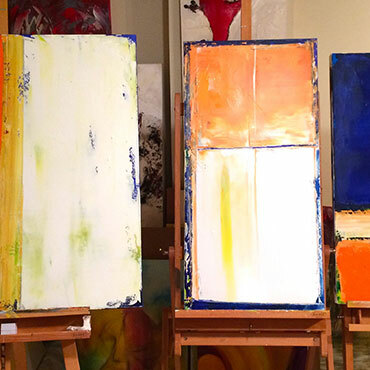 These series of paintings represents life’s pressure, pleasure and peace. 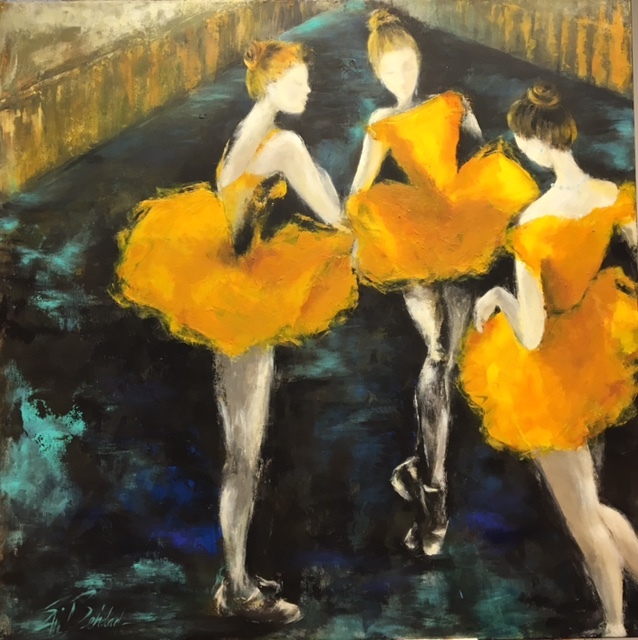 The choice of colors speak for themselves but the dimensions and composition gives the viewer the impression of different stages of life&mldr; all in harmony. 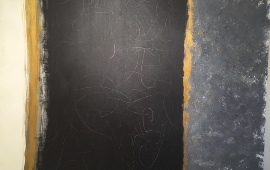 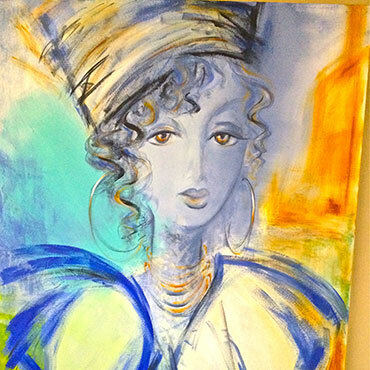 Fundamentals in construction, buildings, furniture, fabrics, etc&mldr;Large canvas, acrylic, gold leaf, mixed media. 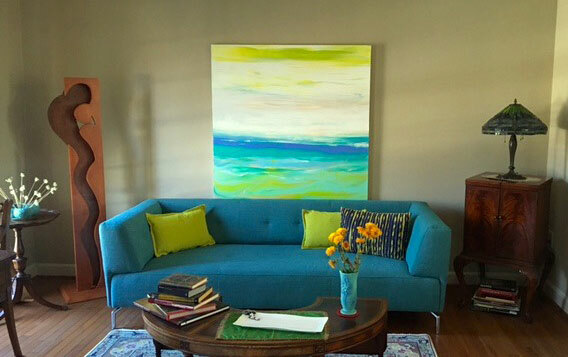 Series of paintings with soft colors of ocean & bright skies to compliment the room color combination &mldr;Acrylic on large canvas. 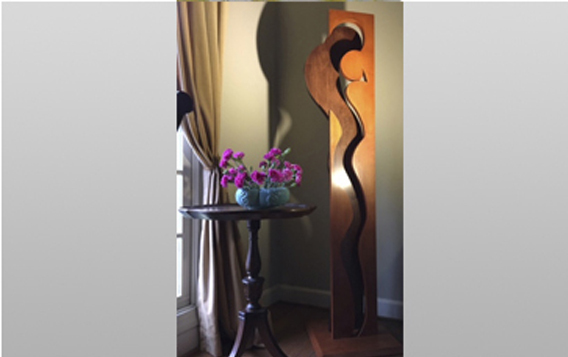 Cherry and Walnut wood, height 63" width 14"
Elli Behdad is a contemporary artist in Maryland, working in acrylic, oil and sculpture. 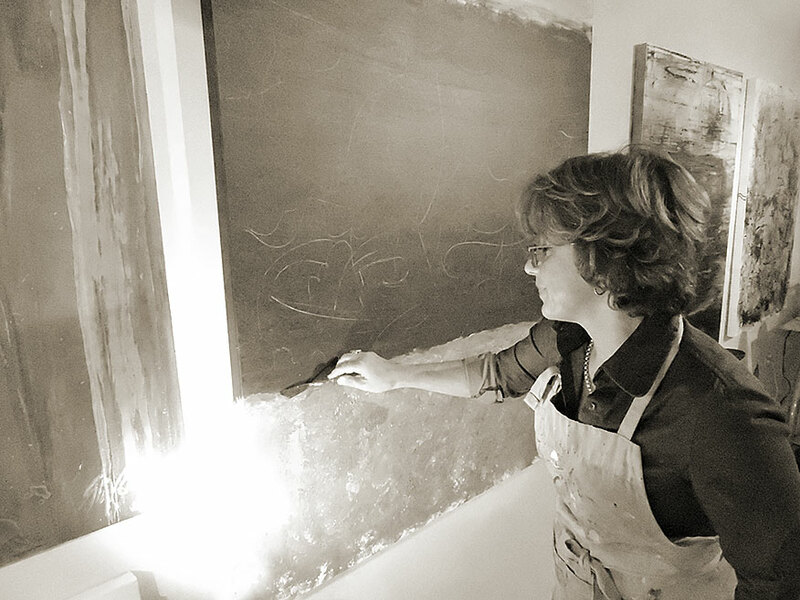 Her work presents a blend of classic and contemporary art, that is constantly evolving, influenced by traveling and learning from different cultures. 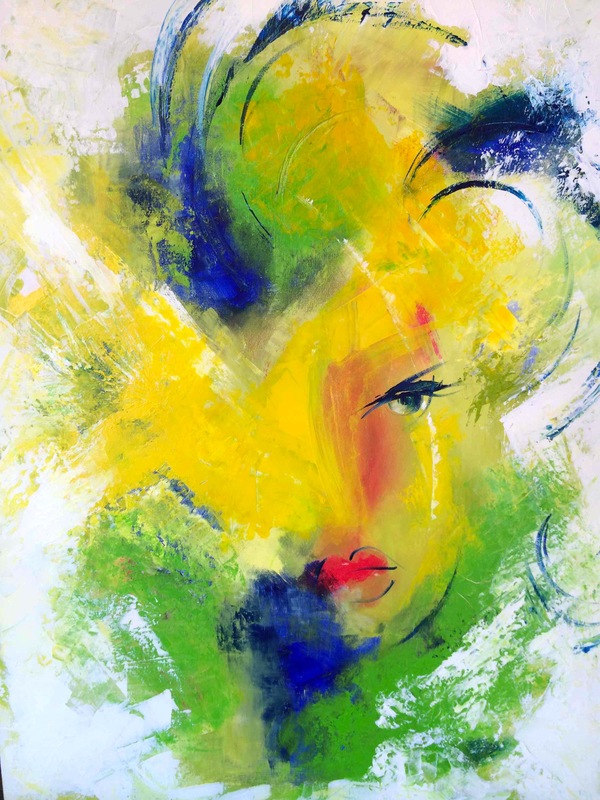 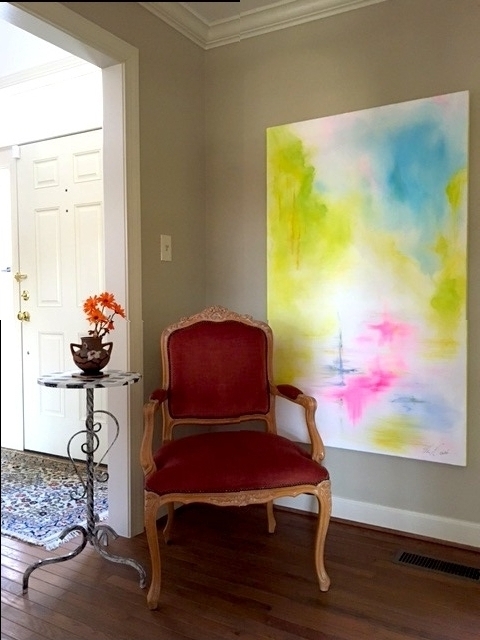 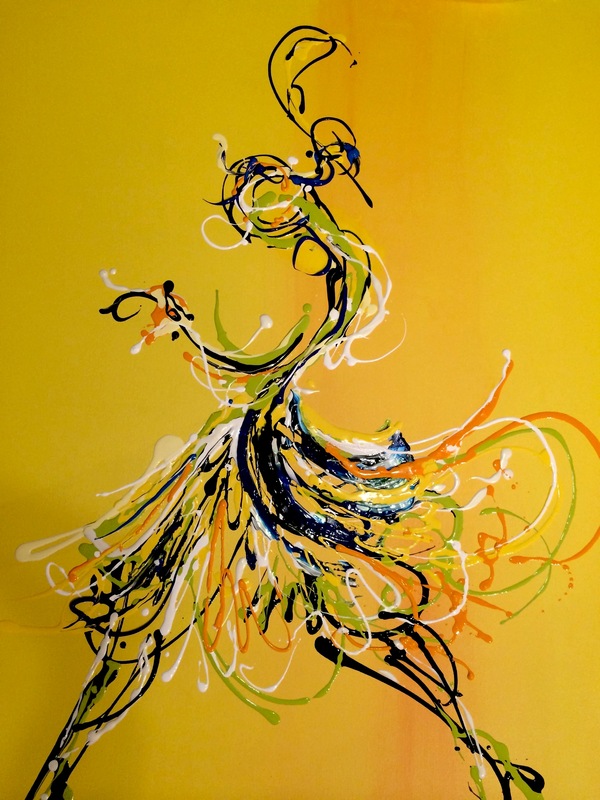 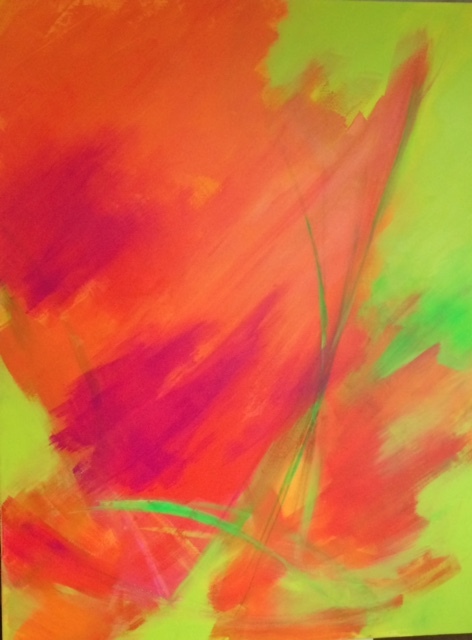 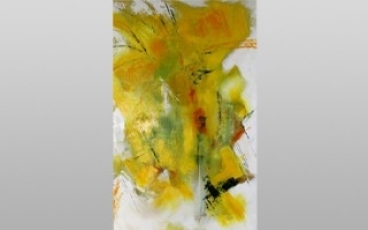 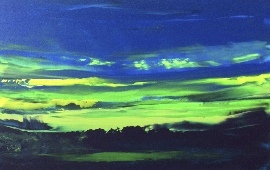 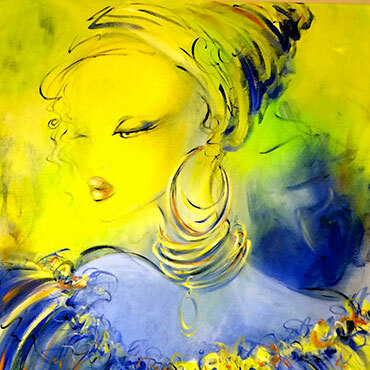 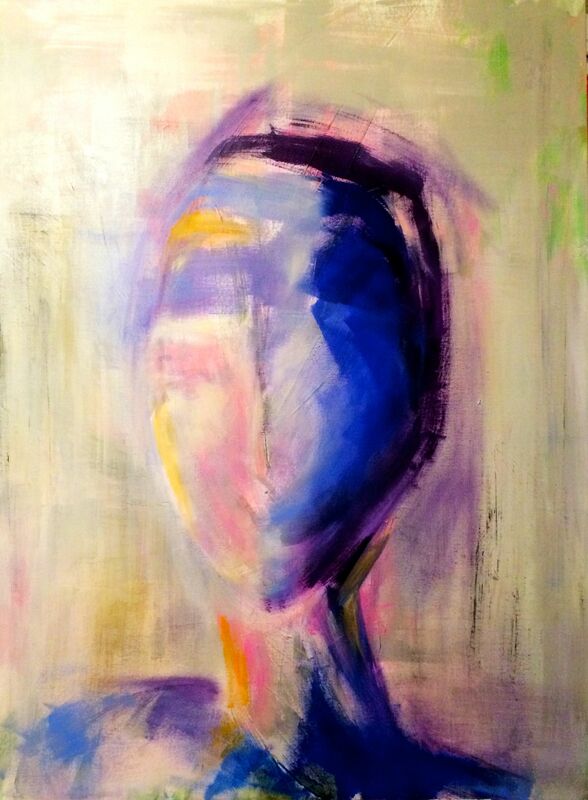 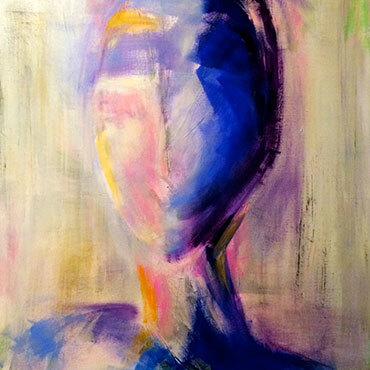 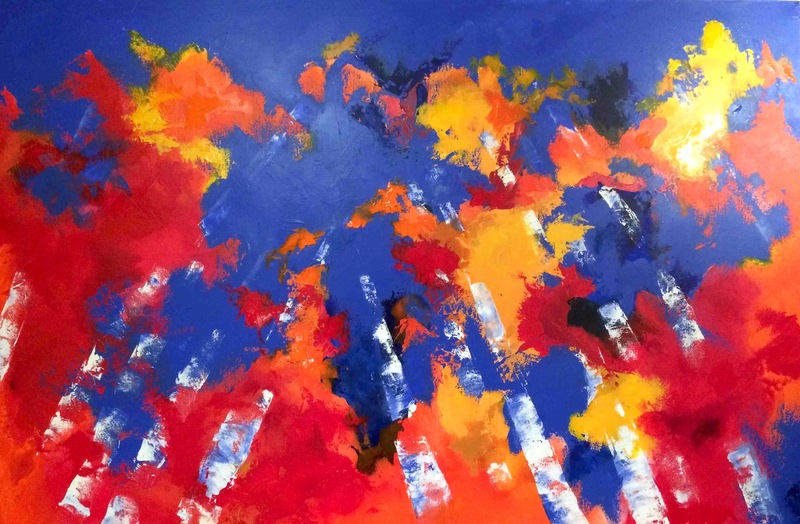 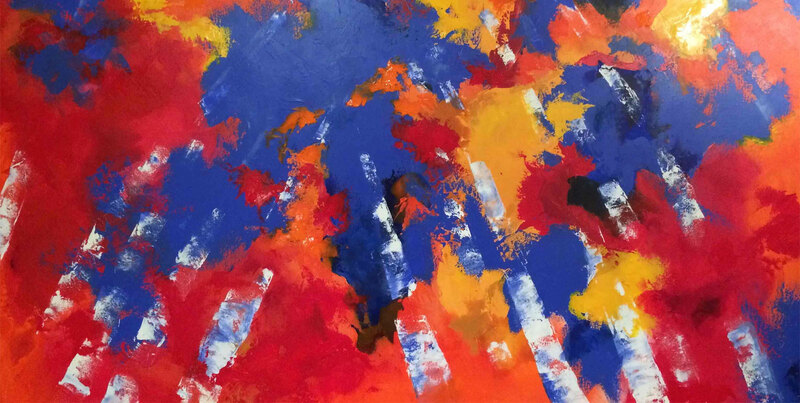 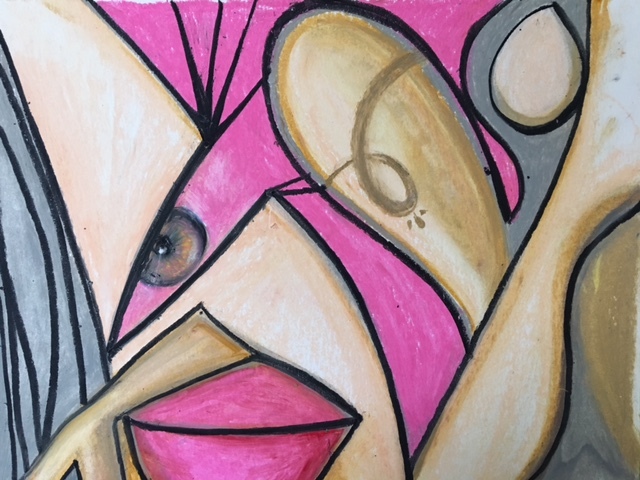 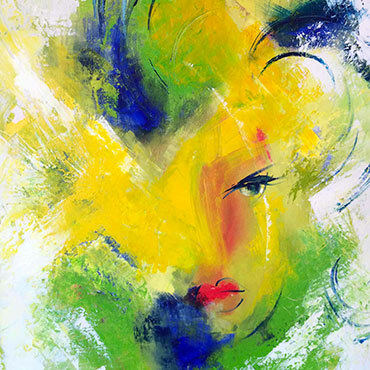 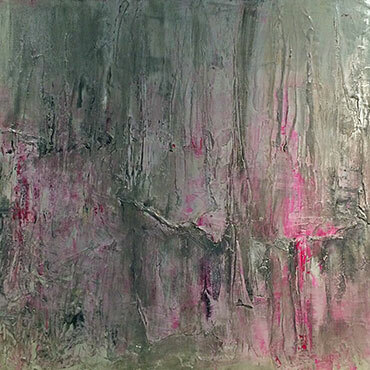 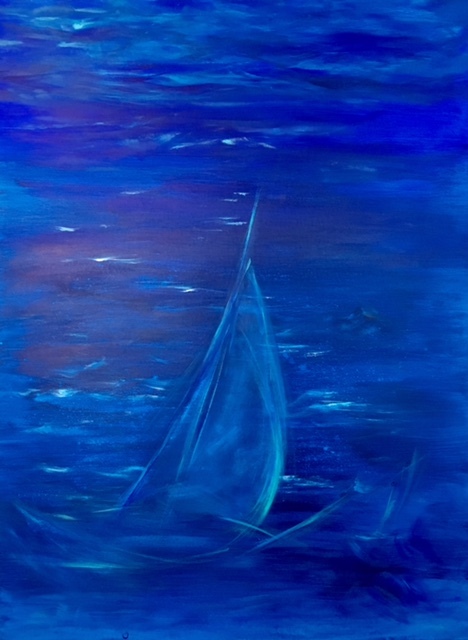 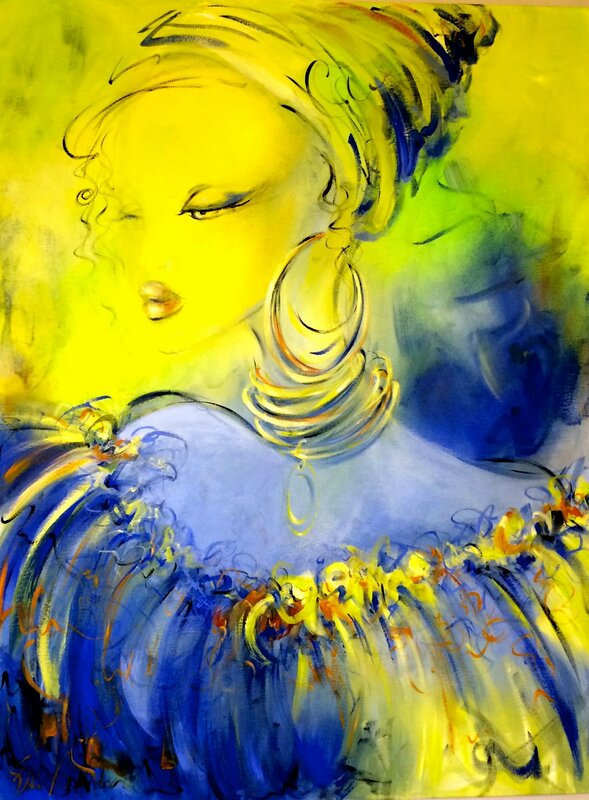 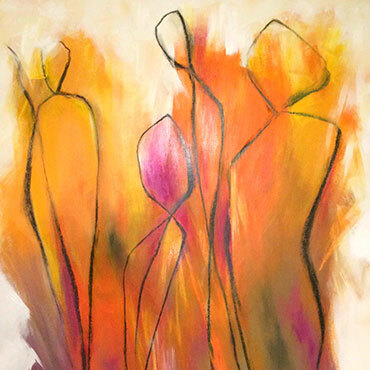 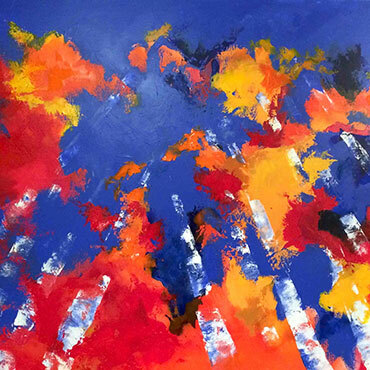 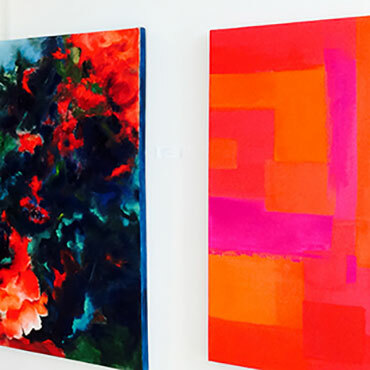 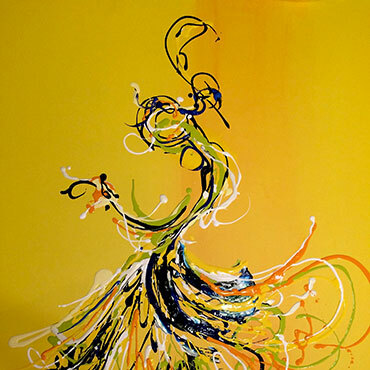 She performs on large canvas with the harmony of colors and unique technique in abstract art, producing idealistic fantasies that generate a visceral response. 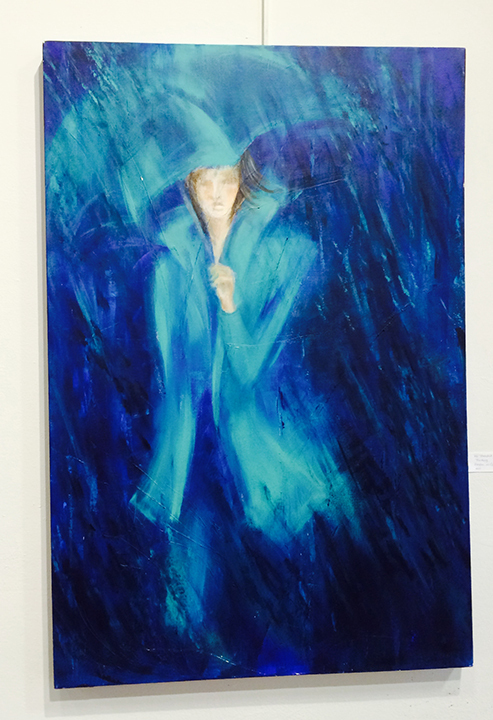 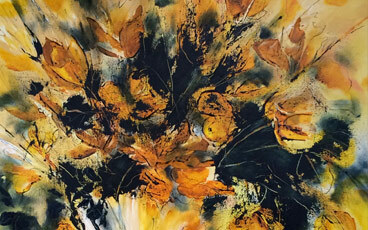 Elli started painting at her father's studio at age of five and showed her talent from childhood. 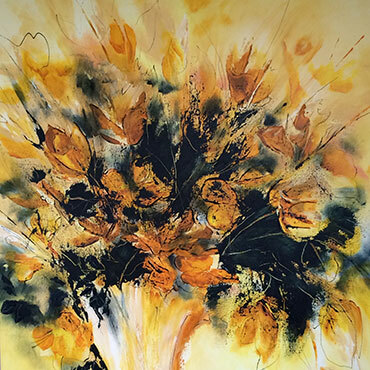 She studied art after high school in Washington DC, 1980 and continued her education in graphic design when she moved to Montreal, Canada 1991. 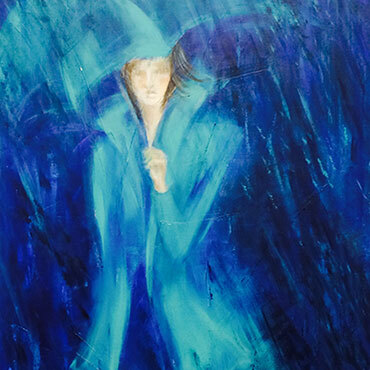 She then joined the Women's Art Society in Montreal and developed her own technique with oil and acrylic. 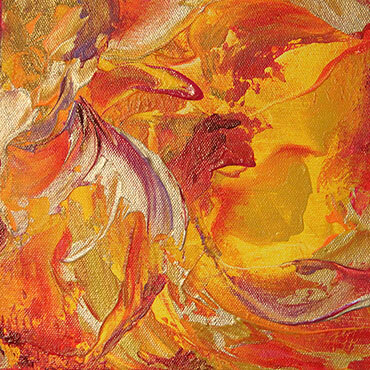 More influenced by the beauty of fall colors in Quebec when she moved back to Washington DC in 2009, she started developing her new style with bright colors. 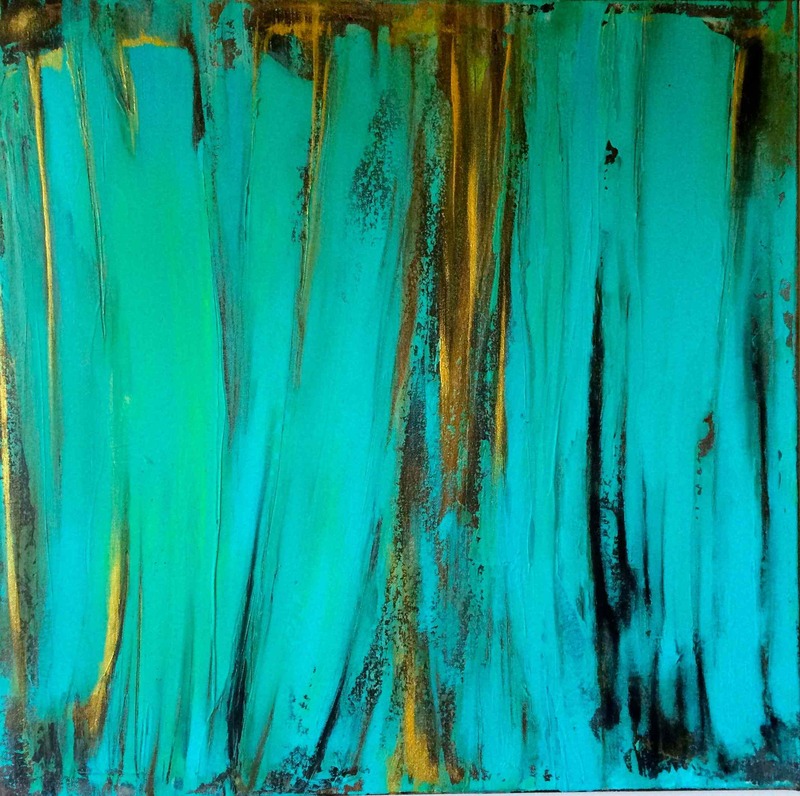 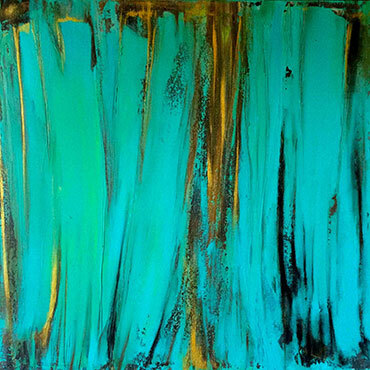 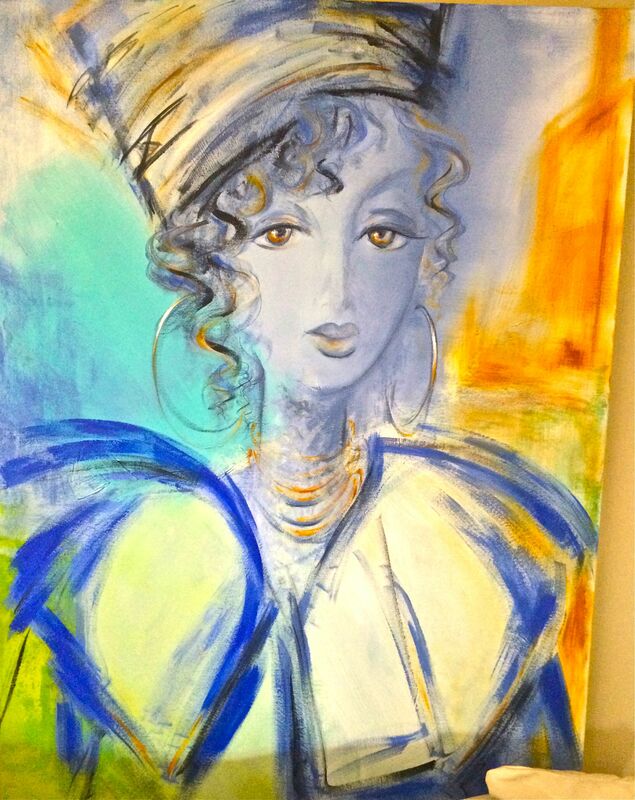 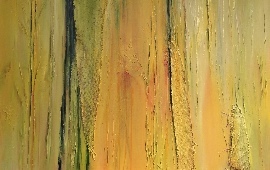 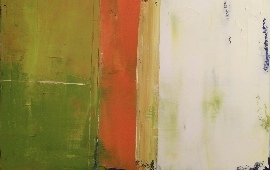 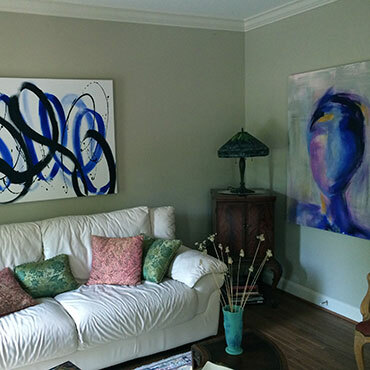 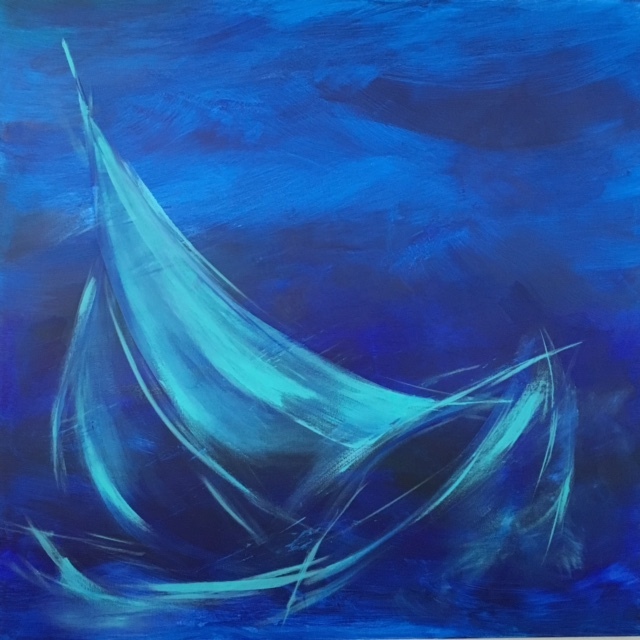 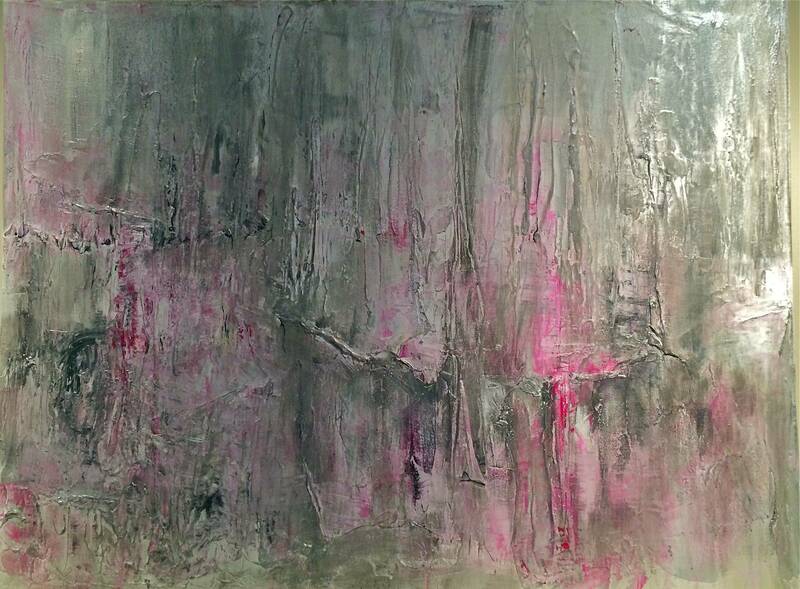 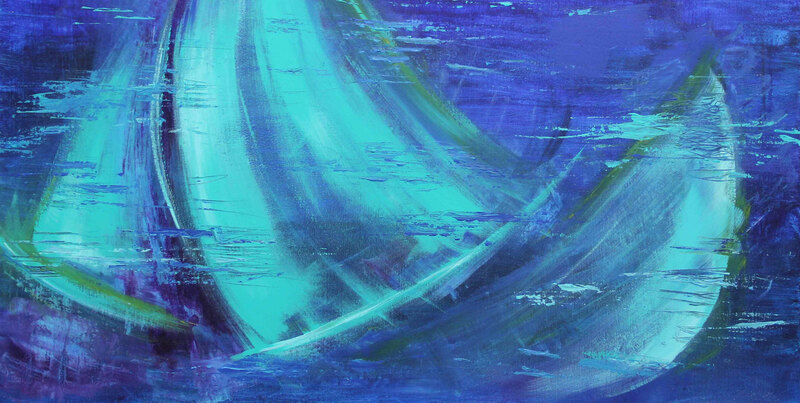 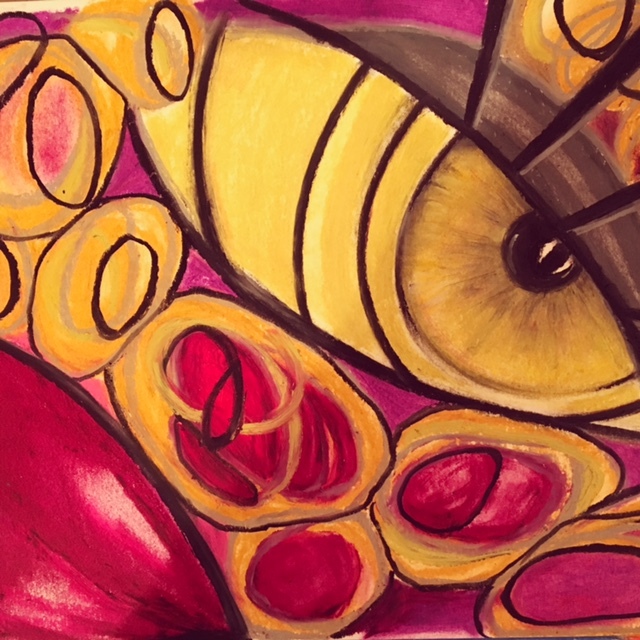 Although she works on large canvas but never compromises details for abstract style. 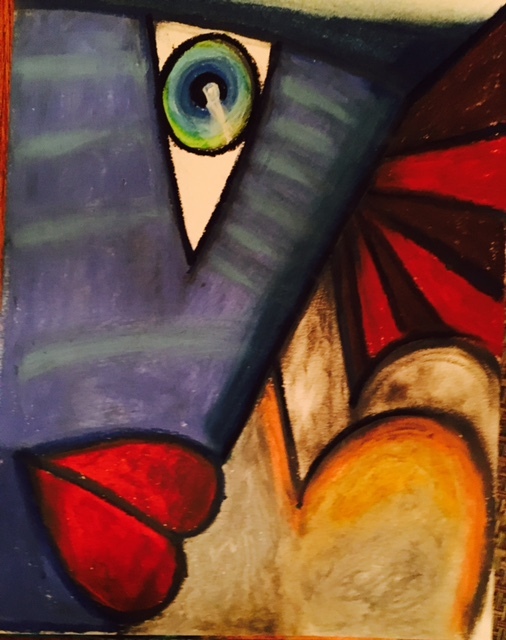 Artist's statement; " Art is the heartbeat of a soul!" 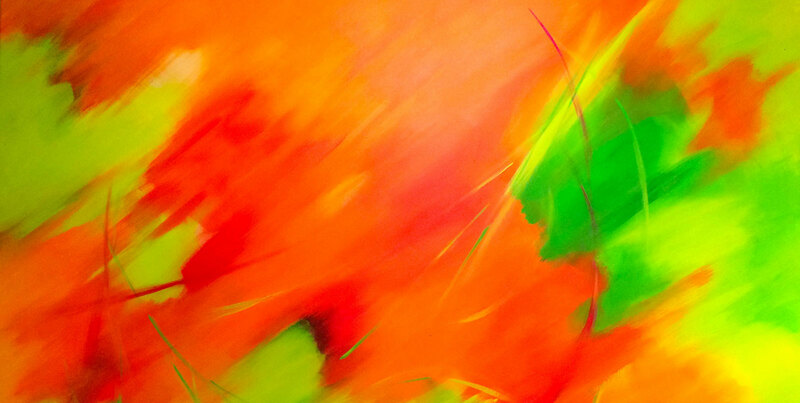 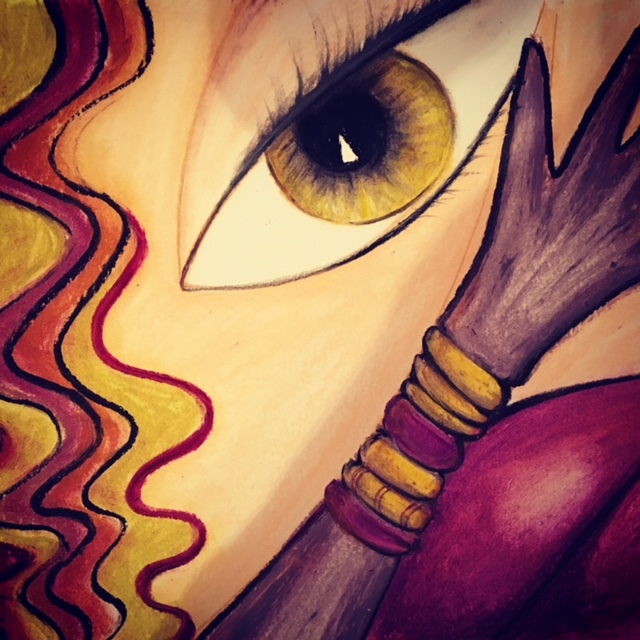 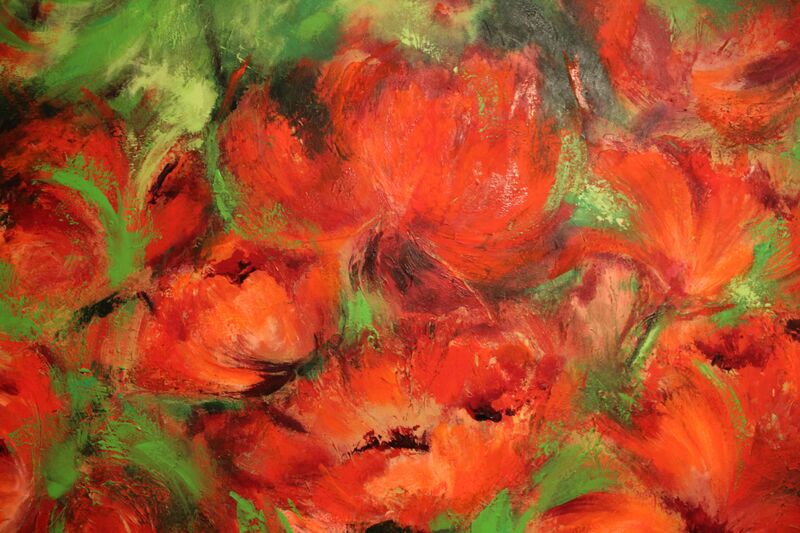 Art is a power to express emotions or reactions and could be the loudest voice in silence! 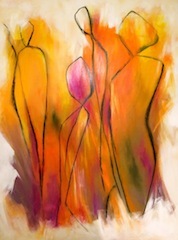 Elli has held exhibitions in Washington DC, Virginia & Maryland & Montreal Canada. 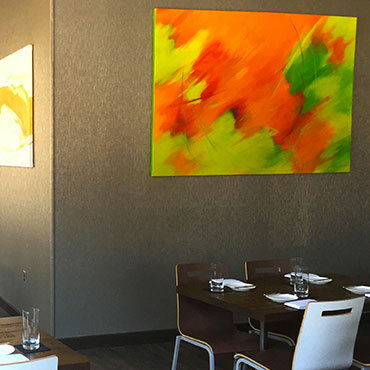 Commission Art for The Tasting Room Restaurant in downtown Fredrick, Elville & Associates Law firm in Baltimore, SRA designs in Bethesda, Doctor’s office in Rockville and residences in Virginia and Maryland. 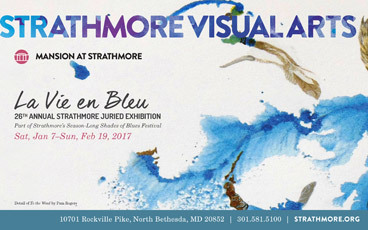 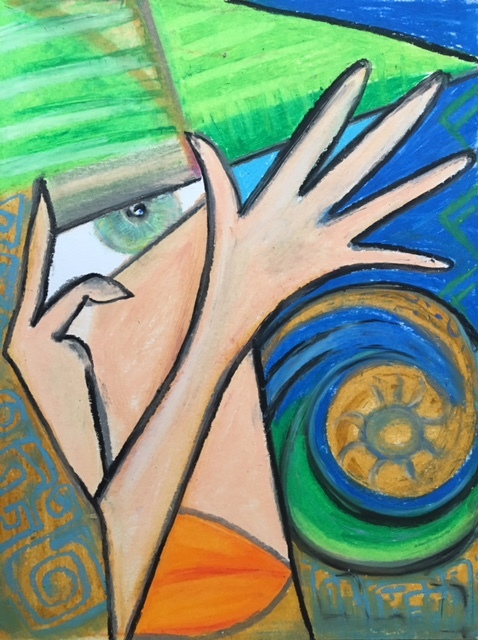 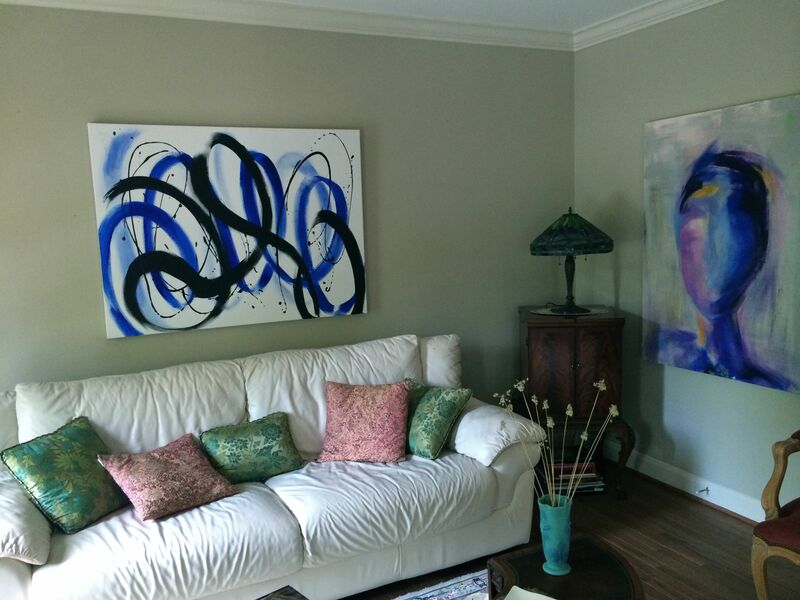 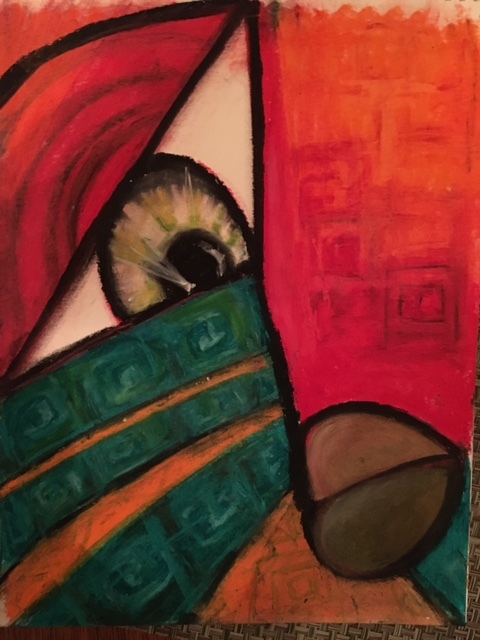 She is currently exhibiting her paintings and sculptures at her studio in Gaithersburg and at Artists & Makers Studio in Rockville. 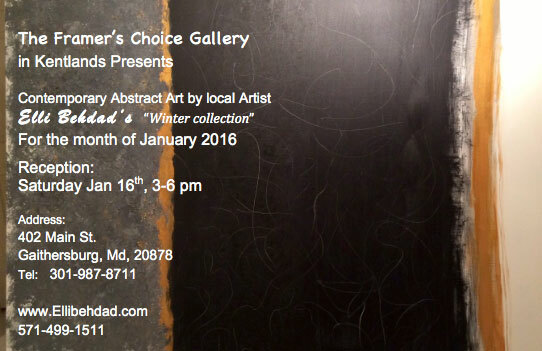 address: 11810 Parklawn Dr., Suite 210 Rockville MD 20852 "studio 14"
Copyright ©2015 - 2017 ellibehdad All rights reserved. 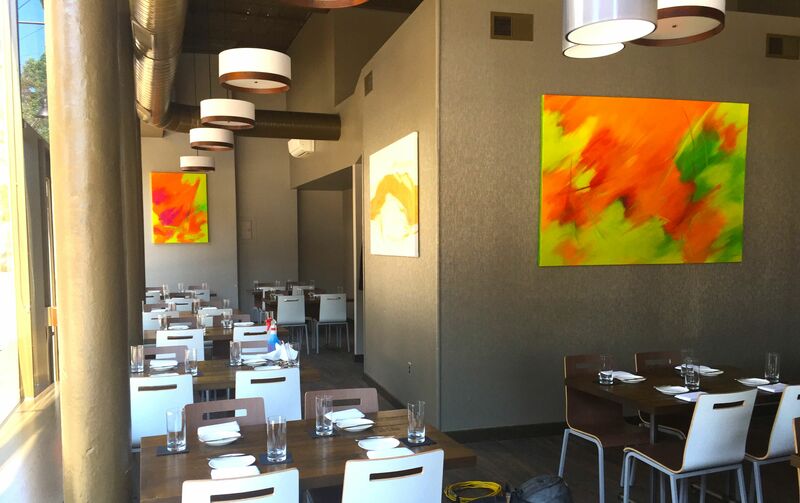 Designed and Powered by Inroads.